Do you love to dress up at Halloween with your kids? Or head to a Halloween party with friends in fun costumes every year? It’s fun to get dressed up, but we don’t like to spend a lot of extra money on clothes that we may only wear once or twice. In the past, we have had fun digging thru our closets to pull together items using our own clothing or with just a few added pieces, to pull together into a fun costume for Halloween. We were inspired by our own experiences to put together a series of costume ideas that were super simple for busy moms as a result. And in this way, you are not throwing money away on a costume that you will only wear one time, but going with a more frugal option of using clothes from your own closet or buying a few key pieces that can be used in other ways for your everyday apparel. 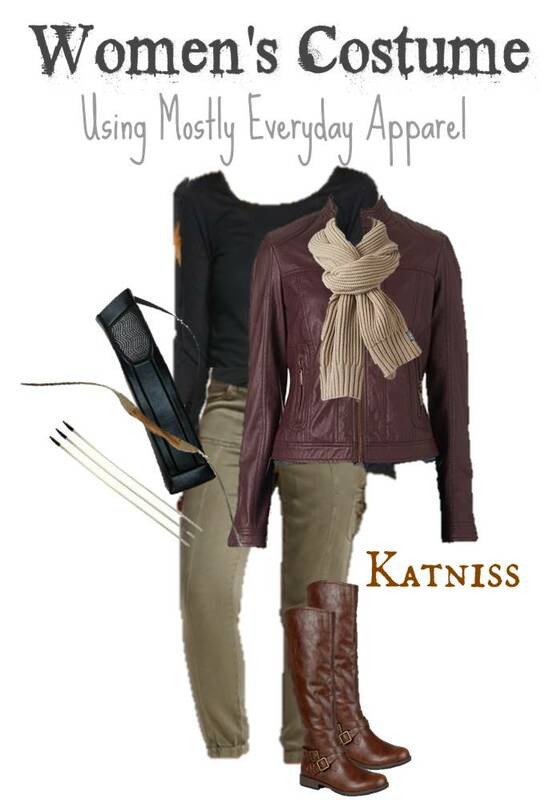 And who doesn’t want to be Katniss, the adventurous heroine of the Hunger Games trilogy.